The third letter of the alphabet is C and admittedly, I could get through this post with ease with any number of words that accurately describe G.O. Cute, charming, cuddly, etc. But, as I mentioned when I began this sub-category to the Countdown series, I want to dig deeper and find unordinary words that describe the extraordinary Byung Hee. Canorous is perhaps one of the more perfect words to describe G.O, and specifically, his voice. At least, it would be one of the many ways I would describe his voice most assuredly: rich, melodious, resonant and pleasing in sound. 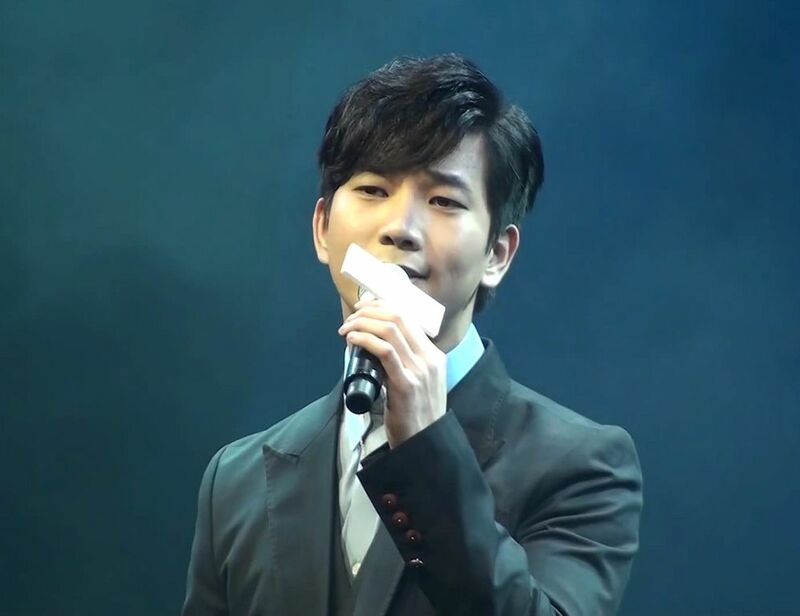 There are hundreds, maybe even thousands of examples of the canorous vocals of G.O; however, as I have been remembering the spring of his musicals as of late, I am going to choose G.O’s performance of 연가 from the 3 March 2014 Seopyeonje Showcase. The tender melody, G.O’s gentle gaze, and that canorous voice. I do believe this is the perfect word to describe G.O’s perfect voice backed by a perfect performance. After all, the word canorous comes from the latin word canere which means~~~> sing. Categories: From The Korean Musical Stage, G.O Military Discharge, MBLAQ Musings, The G.O Files | Tags: 정병희, 지오, Jung Byung Hee, Jung Byung Hee images, Korean Musical Theater, MBLAQ G.O, MBLAQ G.O images, Musical Actor G.O, Seopyeonje, Seopyeonje Showcase, Seopyeonje The Musical, The Musical Seopyeonje | Permalink.